Low Voltage controls on 3 phase models. This months Special CP-300, 240v 300kg capacity with 30m of wire rope only $1150 + GST. Overload protection on some models. 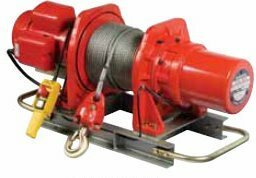 Industrial Load Brake winches for Lifting. Also available in 304 grade Stainless. Worm drive and Lever Ratchet models available. Trailer winches with Cable or Strap.